Excellent service, and happy staff! When my order went through, there was a shortage on one of the products, but I was contacted the next day to let me know of the issue, including how long it would take to arrive. I was also offered the option of a refund, or to substitute it for something else. Most helpful, and very friendly to boot. Medium sized head adding attractive red/purple colour to salads. Eaten fresh or cooked. Vitamins A,B and C. Popular vegetable, high in calcium and iron. Likes fertile, well drained soil, sunny position, frost hardy. Sow all year except hot conditions. Shallots Seed PacketAllium fistulosum -- Organic Perennial variety to 50 cm, straight leaf..
Silverbeet Fordhook Seed PacketBeta vulgaris -- Organic Popular vegetable. Use steamed, cooked..
Brassica parachinensis -- OrganicCompact fast growing, loose leaf cabbage, with thick, crisp,.. 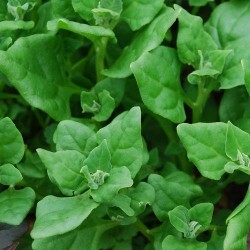 Spinach New Zealand Organically Certified Seed PacketThe Sow By dates are an indication of the .. Beta vulgaris -- Organically Grown Rainbow chard silverbeet is a popular vegetable. Use steame.. 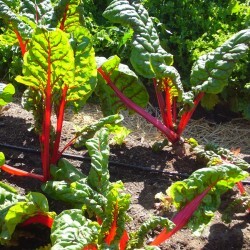 Beta vulgaris -- Organically Grown Ruby Red Chard Silverbeet is a popular vegetable. Use steam..
Coriander Seed PacketCoriandrum sativum Annual to 60cm, white flowers, leaves used in cooking a..
Tomato Grosse Lisse Seed PacketLycopersicon lycopersicum -- OGA Heirloom Grosse Lisse is a po..
Onion Long Tropea Red Seed Packet(Allium cepa) Excellent salad onion producing medium sized,..